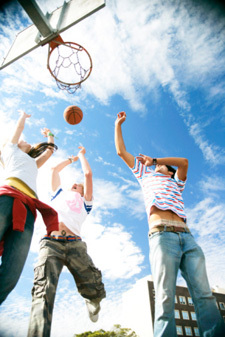 As a former high school athlete, Dr. Finn understands the demands sports place on our bodies. From children active in their chosen sport to professionals, we can help you return from an injury or improve your performance. Children are starting to specialize in a single sport at younger and younger ages. We see many children experiencing what are considered to be adult problems, such as soft tissue injuries and concussions. Injuries from overuse result from this earlier specialization. We are ready to help them through the process of recovery. Working with amateur and professional athletes has given Dr. Finn a unique set of skills we offer to all of our patients. In addition to chiropractic care, we may recommend services such as injury taping, laser therapy and spinal decompression for your care. Dr. Finn does not limit his examination to the area of injury. Instead, he takes a comprehensive look at the entire body, ensuring we know precisely where the problem is coming from and how to remedy it. Many of our patients bring in a video showing us what they would like to improve, such as a golf swing, tennis swing, wrestling competition or lacrosse match. Dr. Finn watches the video with you to understand why you are not able to perform the way you used to. We work in conjunction with your coaches, giving your recovery a team effort. Optimize your performance and find relief from pain. Contact our office today to get started!